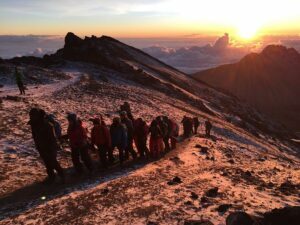 Find our more about Mount Kilimanjaro at our FREE Kilimanjaro Info night. Kilimanjaro (5896m) is not only Africa’s highest point, it is the highest free standing mountain in the world. Kilimanjaro is a huge crater known as Kibo over 2km wide with several distinct cones, the highest being Uhuru Peak. The name Kilimanjaro is believed to come from Swahili, Kilima meaning ‘hill or little mountain’ and Njaro meaning ‘white’ or ‘shining’. Towering over 4,500m above the Rift Valley and the surrounding landscape, it makes for an impressive sight. spectacular scenery and a wide variety of different landscapes. We start in scrub-lands thick with African wildlife and then move into lush forests followed by flowering alpine tundra. Above 4,500m the landscape changes to snow and rock as we approach the summit. This trek is suitable for people with a good level of fitness who enjoy a challenge. 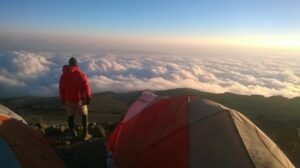 The sense of achievement after climbing Kilimanjaro and view from the roof of Africa makes all the hard work and effort well worth it! *Optional day safari in Tarangire National Park after the climb. 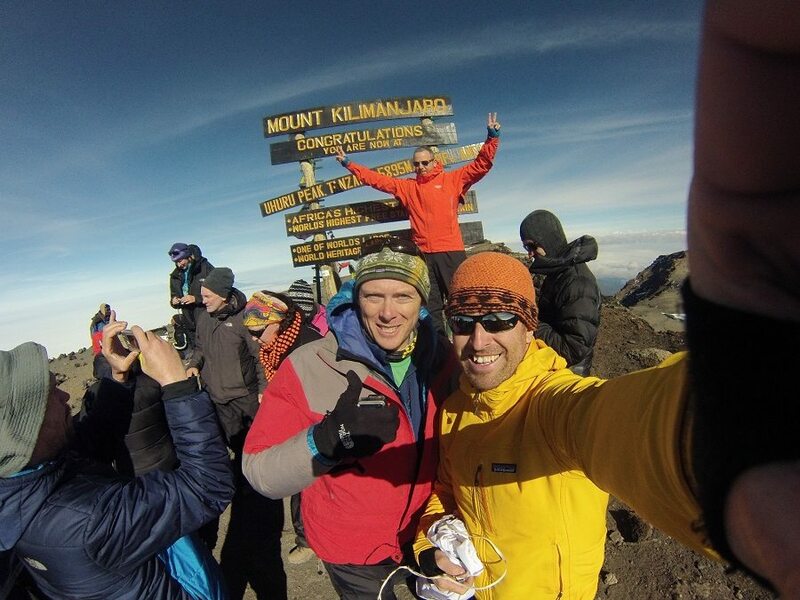 Conquer Kilimanjaro with Earth’s Edge, Ireland’s Premier Adventure Holiday Company, fully licensed and fully bonded.